American Products can also offer custom enclosures engineered to meet your precise standards. Develop innovative designs that can save you money. Create prototypes so you can see how your custom enclosure will work. Produce prints to meet customer specifications. After all the in-house engineering, it’s out to the field and the real proving grounds. 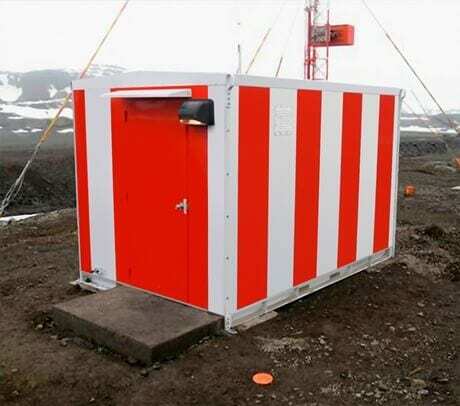 Here are a few examples of the type of harsh test environments or interesting installations that help ensure our Weatherproof Outdoor Enclosures are dependable in any situation. 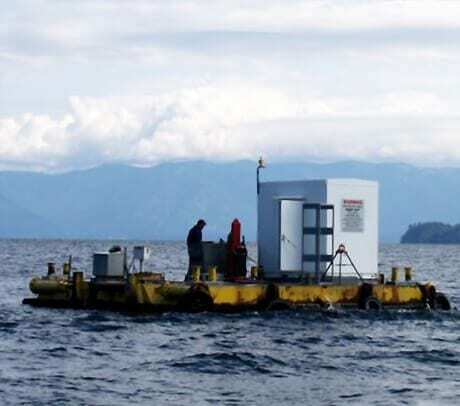 The lake is used by the Navy’s Acoustic Research Detachment to test large-scale submarine prototypes: the significant depth gives acoustic properties similar to the open ocean. The results obtained during past experiments have been extremely valuable to the Navy, especially in the area of submarine sonar dome development. For weight considerations, this custom Thermal Fort Enclosure was constructed with aluminum instead of the standard galvanized steel. Chile, China, Uruguay, Korea, Argentina, Russia, Brazil, Poland and Peru all have small research bases on this 440 sqm island. Surprisingly, the Chilean Air Force is the only one to house their airstrip’s navigational equipment in a Thermal Fort Enclosure. Clearly, this custom Thermal Fort Enclosure came with heaters as well as additional weatherproof and anti-corrosion measures. 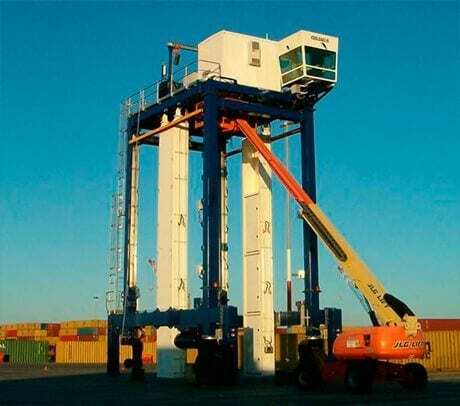 Port Security manages their container scanning operations from within this custom Thermal Fort Enclosure. Perched 50 ft up, it’s the control center for checking every shipment for presence of explosive or nuclear materials. This weatherproof outdoor enclosure was constructed of aluminum to withstand the corrosive environment of the port.